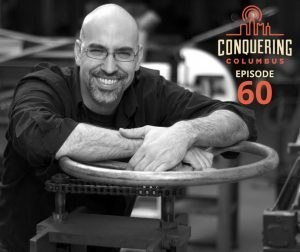 The CEO and Founder of the Columbus Idea Foundry, a PhD in Materials Science and Engineering from Lehigh University, and an all around passionate about knowledge and life individual, Alex Bandar joins us on this episode of Conquering Columbus – Alex talks with us about his childhood and learning to be curious about the world around him, his passion for learning, his time studying computational metallurgy at Lehigh University, how he created the Columbus Idea Foundry, where the Columbus Idea Foundry is headed, and even a short tangent on his experience with the Ketogenic Diet! (00:00:35) Subscribe to Conquering Columbus! (00:02:15) Do you want to become a Conquering Columbus sponsor? (00:59:25) Subscribe and Share the Conquering Columbus Podcast! (01:01:13) Do you want to be a sponsor of Conquering Columbus?